Homeless is an enormous and seemingly intractable crisis facing our city. It has left an undeniable impact on the livelihoods of individuals and families from the Harbor to the Valley. It has also touched countless families across the nation. As families fight every day to survive, the struggle to provide the basic necessities of a home, food and healthcare continues. 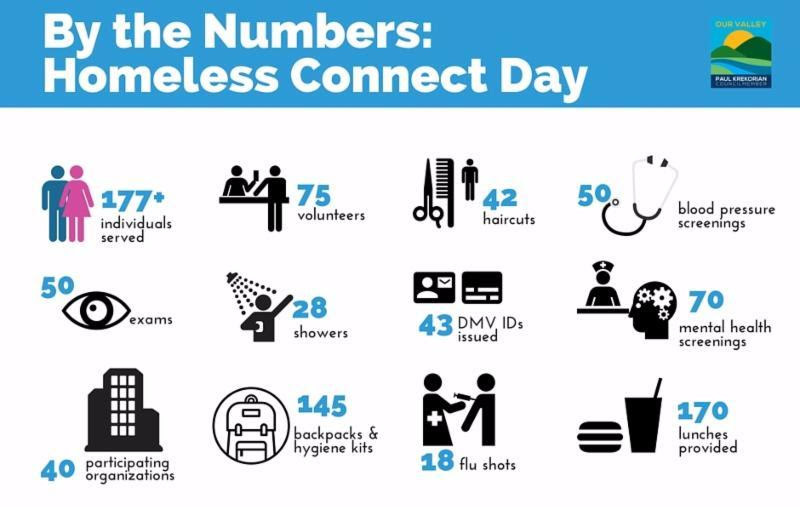 In Los Angeles, we have made it our priority to come up with a holistic strategy to address homelessness in our community and get people off the streets and into homes with the services and resources they need to thrive. While we continue to work on our long-term approach, we can also take action to provide relief for people in need right now. Among those to receive services that day was a young, hopeful family looking for a fresh start. Steven came to Los Angeles about three months ago after his work dried up back in his home state of Texas. He'd already been down a rough road in life, so he and his then-pregnant wife packed up their two elementary school age kids and headed West to find jobs and start turning their life around. When they got here, they found that jobs and homes were hard to come by. Now, he's barely getting by on recycling, but he hasn't really been able to figure out where to go for help here and how to pull it all together. Neither he nor his wife had ID, so they haven't been able to get any benefits. Then Steven went to the YMCA and saw one of our flyers for Homeless Connect Day. He decided to check it out. By participating, his young family was able to apply for state identification cards, sign up for CalFresh, get connected with benefits and start the process to get placed in permanent supportive housing. The kids were thrilled to get their haircuts, and my staff arranged for a hotel voucher so the family would sleep indoors, at least for a night. And so Steven, a strong and proud man who has seen more than his share of tough scrapes, humbly thanked me with the most profound and sincere gratitude for helping him take care of his family. When we commit ourselves to public service, we know that we are making a difference for people and hopefully leaving our community in a better place. Sometimes, we are fortunate enough to see that impact in a very direct and personal way. As I chatted with Steven, I could not have been prouder of the work I have been elected to do and of the people I am privileged to do that work with. To see the photos from this year's Homeless Connect Day, click here: flic.kr/s/aHskxPdtVk. If you want to participate in our community work or have ideas you'd like to share, please contact me by email: paul.krekorian@lacity.org or phone: 213-473-7002.